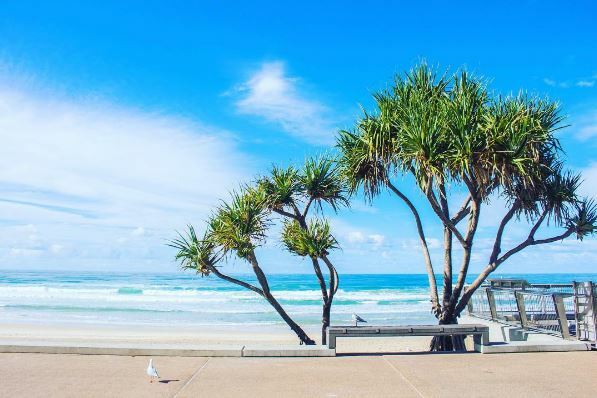 Serving up year-round sunshine, 52 kilometres of the world’s best beaches, and more attractions than you can poke a kangaroo at, it’s no wonder the Gold Coast is one of Australia’s most popular holiday destinations. 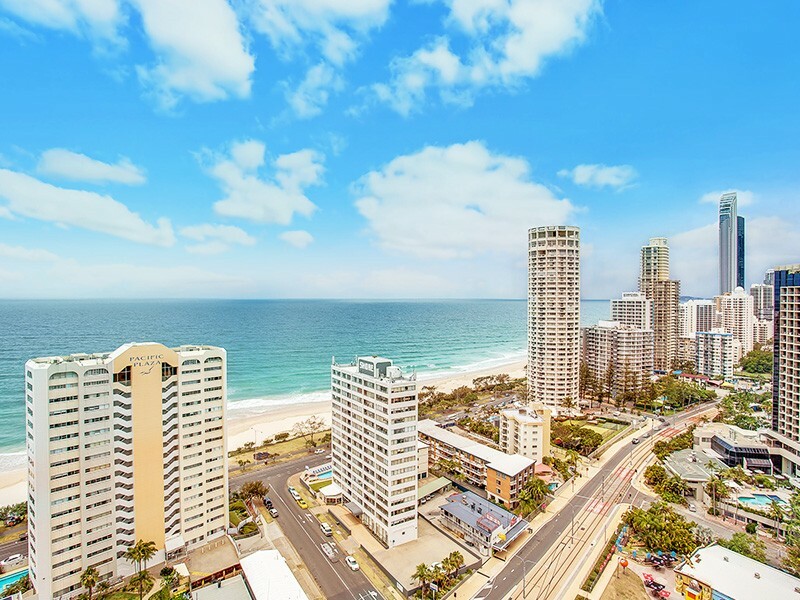 The crown jewel of the Gold Coast is the majestic and central Surfers Paradise adorned in attractions, dining, shopping, and of course, golden sand beaches that stretch endlessly. 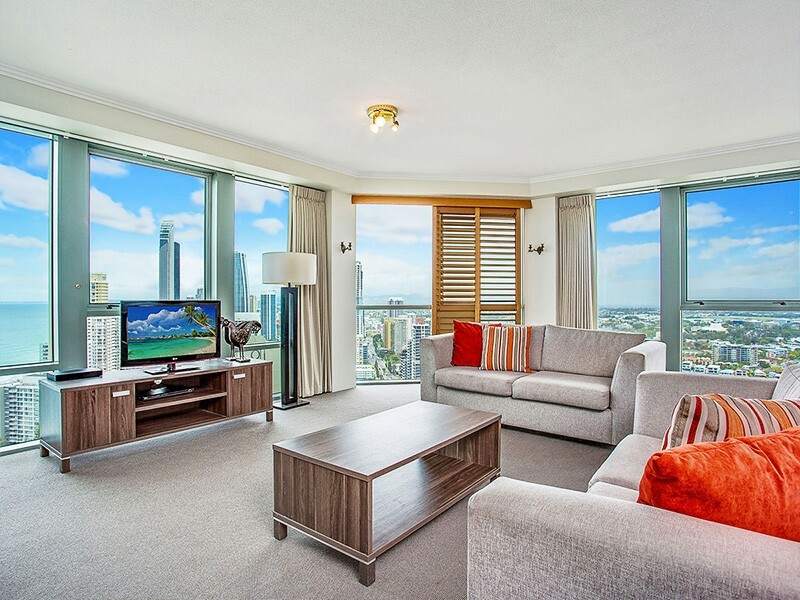 Whether you are travelling with the family, just that special someone, or for a girls weekend, Surfers Paradise has plenty to offer. One of the best places to call home while you explore the Gold Coast’s crown jewel is Mantra Sun City. 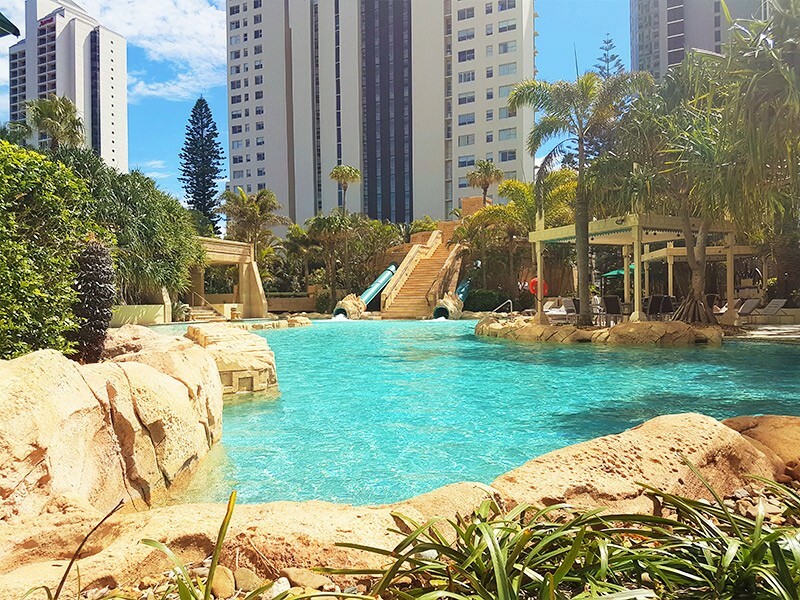 The Aztec-inspired resort sits in a central location on Ocean Avenue just one block back from the sapphire waves of Surfers Paradise Beach, and just 1 kilometre to Cavill Avenue, the centre of the action. The things you’ll love most about Mantra Sun City are the spacious apartments, the amazing pool area, and location. 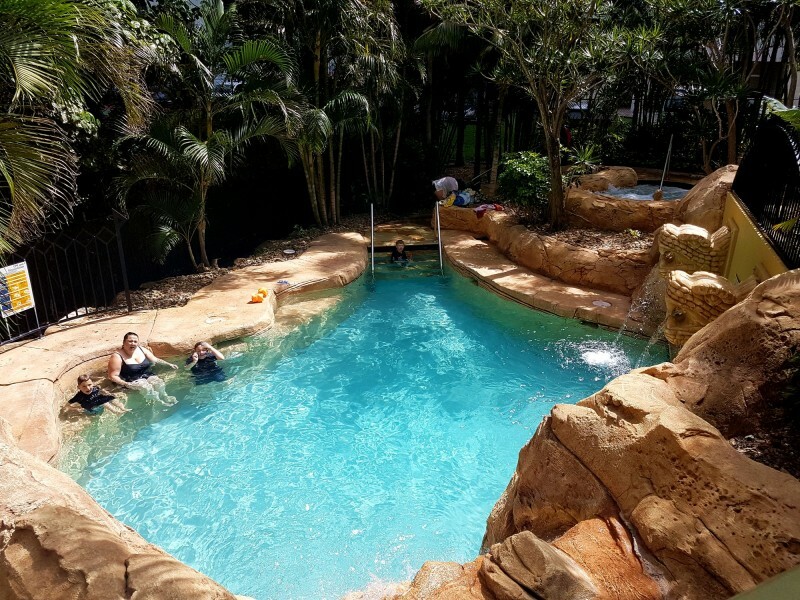 You are surrounded by the things that make the Gold Coast famous including attractions such as Infinity and Ripley’s, dining options from takeaway to 5 star, and an array of shopping experiences. In fact, unless you plan to do some serious exploring, car hire simply isn’t worth it. You’re already where you want to be, in the heart of town. 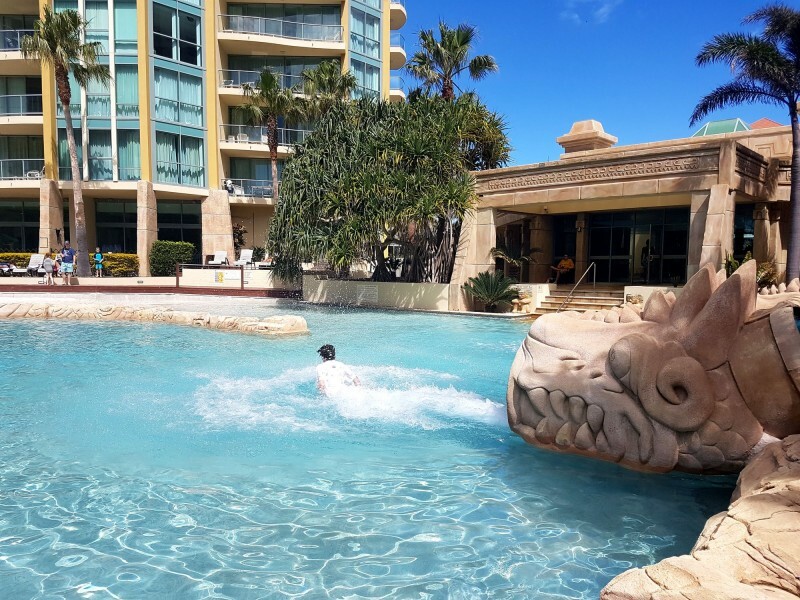 Once you (or the kids) see the lagoon pool, you may not be inclined to leave at all! The main area carries an Aztec design and features a double waterslide, sandy beaches, separate plunge pool, spa, plenty of sun lounges to soak up the sunshine, sauna, and indoor swimming pool. Choose between a hotel room, 1, 2, or 3 bedroom apartment or even a 3 bedroom sub penthouse sleeping up to 7 people. Each of the apartments feature fully equipped kitchens, laundry facilities, in house movies, and most have private balconies – meaning they are great for longer stays as you can really settle in, enjoy the space, and have some meals in the comfort of your accommodation. When the kids (or you) are tired of mac n cheese, the resort’s restaurant Koastal Kitchen & Pool Bar is open daily for breakfast (7am til 10am) and dinner (5pm til 9pm) and features fresh pizza, grills, salads, succulent seafood, and your traditional favourites. In keeping up with the times, Koastal Kitchen also boasts a Tapas Bar that masters the art of simple ingredients put together to make delicious share plates. Your lunch time needs can also be catered for without leaving the resort as the pool bar is open from 11.30am til 3pm and offers light meals and snacks. Having said that, it would almost be a crime not to explore the dining options available in Surfers Paradise. Mexican, Japanese, Thai, Seafood, Italian, Indian, Chinese, Steakhouses, takeaway and more are available in abundance. 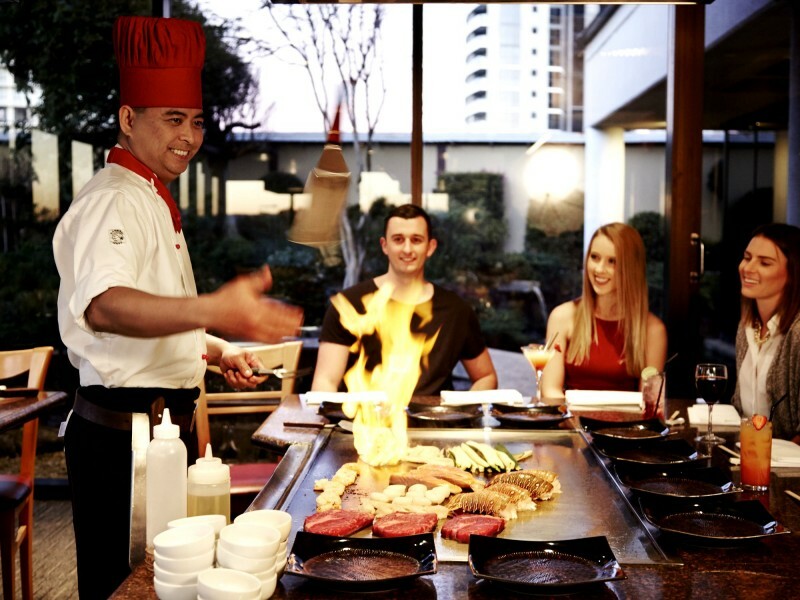 Misono Japanese Steakhouse is Teppanyaki at its best, located in the Marriott Surfers Paradise this restaurant is voted #1 in Surfers Paradise on Trip Advisor and a 4 minute walk from Mantra Sun City! Many know Chiangmai Thai Restaurant as the best Thai food on the Gold Coast, and lucky for Mantra Sun City guests, the restaurant is just 400 metres from the resort! Or you can take the scenic route along the water, which will cost you an extra 100 metres. 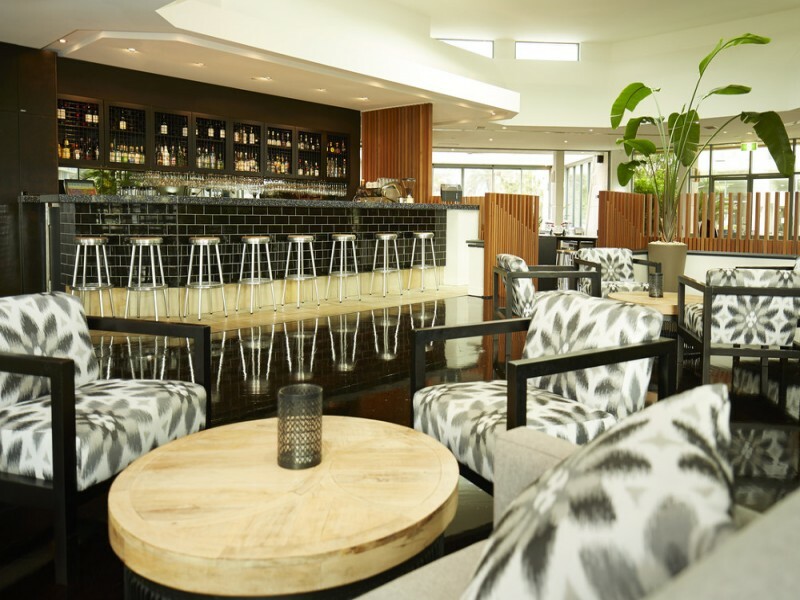 Bazaar is another favourite among foodies, popular for its modern layout and quirky atmosphere, this buffet also makes it into the Top 10 Restaurants in Surfers Paradise on Trip Advisor and is 350 metres from Sun City. 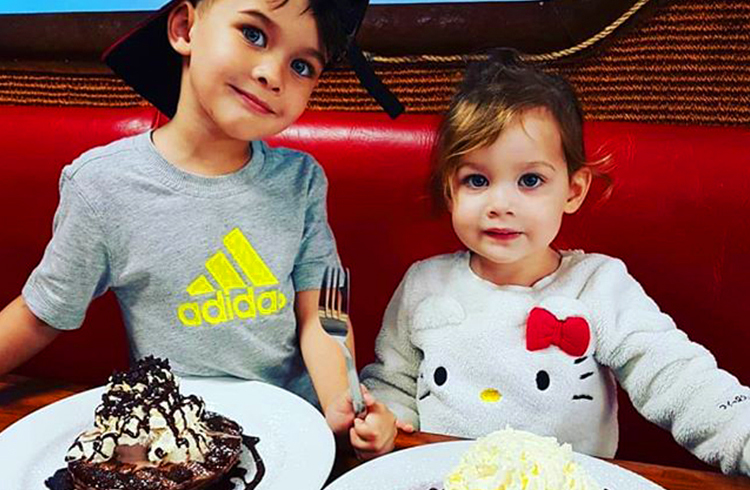 Families looking for something special for the kids as well as Mum and Dad here is our list of Best Family Restaurants on the Gold Coast. 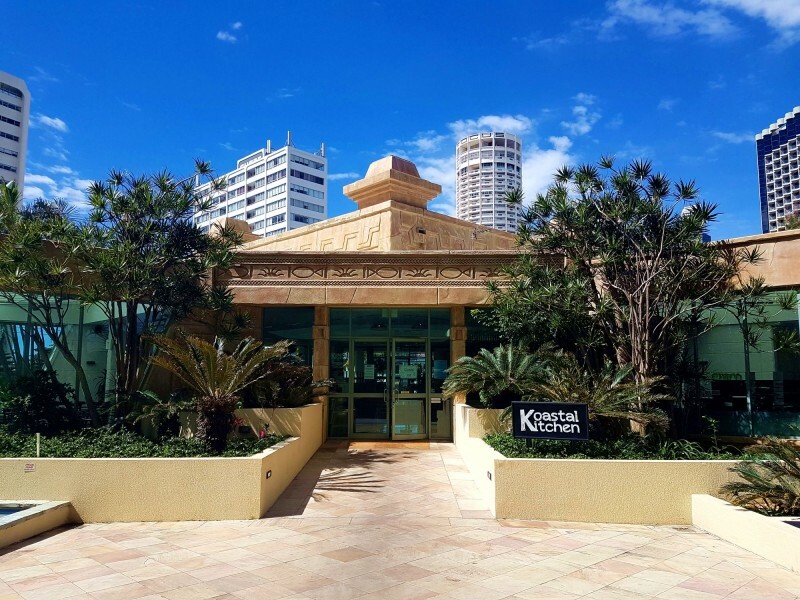 If you took our advice and ditched the car hire, here is our list of the Best Family Restaurants in Surfers Paradise. 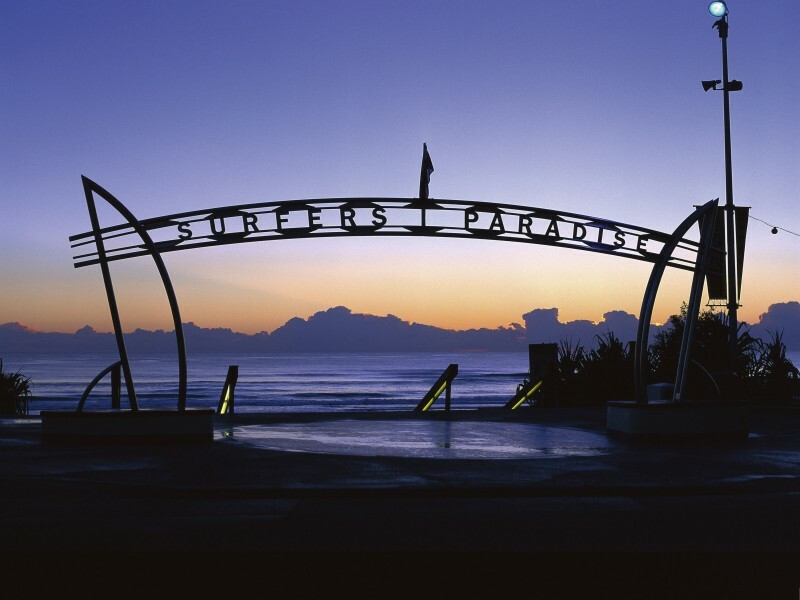 As well as dining the iconic beaches of Surfers Paradise are just a stones’ throw away. Grab your hat, sunnies, towel, water, sunscreen, and thongs, cross the road and you will quite literally have landed in paradise. Mantra Sun City is also smack bang between two parkland playgrounds – Pratten Park and Broadwater Parkland. These two are both approximately 4 kilometres from the resort, so are accessible by walking or a short tram ride. 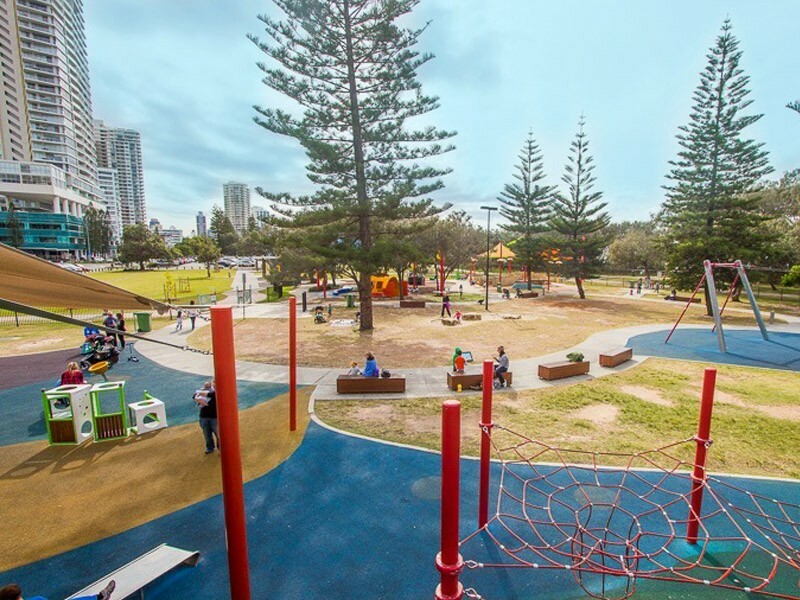 Pratten Park is the Gold Coasts first ‘All-Abilities Playground’ with equipment for kids of all ages and physical capabilities. There are basket swings, hill slides, flying fox, a large yellow submarine, carousel with harnesses, and mermaid in an under-the-sea zone. Broadwater Parklands also sits along the calm Broadwater beach (so you can pair your park trip with a dip!) and features a variety of playground paraphernalia including giant shaded jumping pillow, monorail pedal bikes, flying fox, liberty swing for kids of all ages, and an educational bike track. 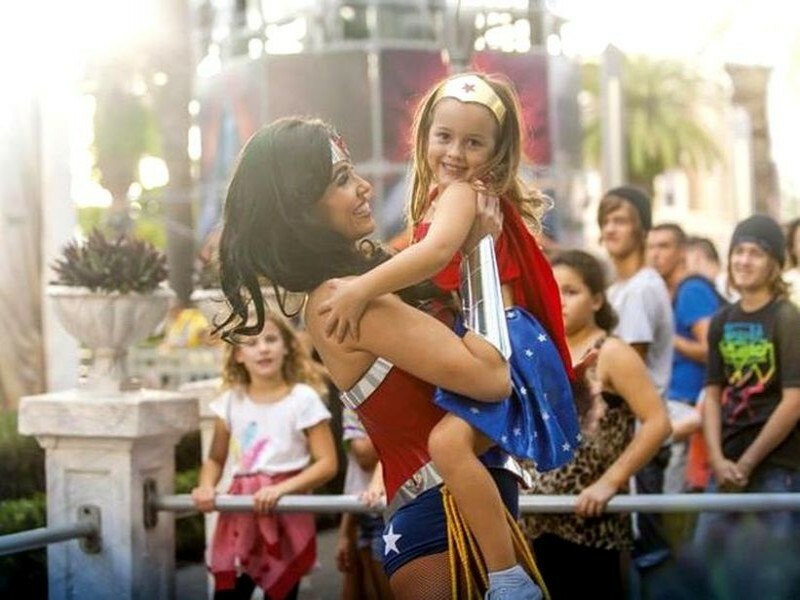 We haven’t forgotten the world class theme parks that are just around the corner! Speak to the team at Discover Queensland or see the tours desk at Mantra Sun City to organise an unforgettable day at Dreamworld, Movie World, Sea World, Wet ‘n’ Wild, or White Water World. Be sure to pack your camera, as you’ll want to commemorate the memories you make in these fantasy wonderlands! This is a destination world famous for delivering a holiday cocktail made on a sunshine base, with a dash surf, splash of shopping and served with fresh smiles. 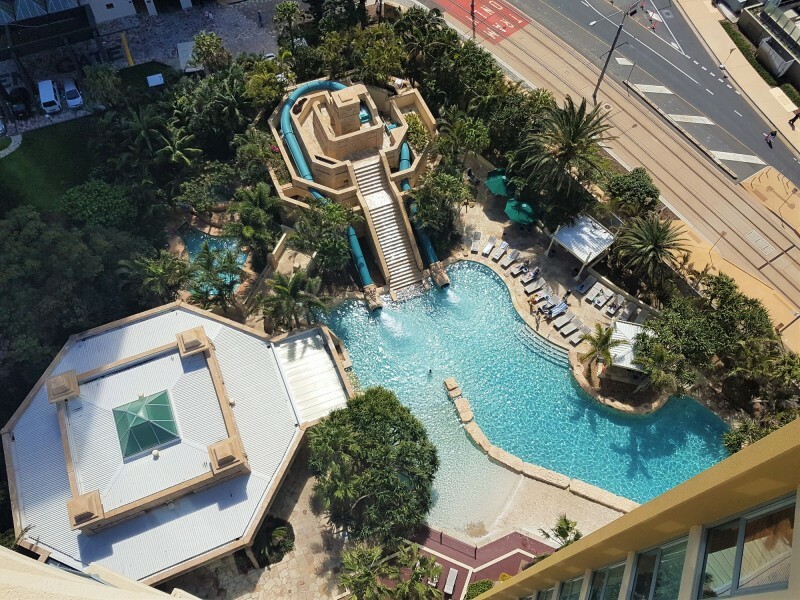 Don’t miss out on an unforgettable holiday, call Discover Queensland to organise your Surfers Paradise escape today on 1300 788 553.